Bhubaneswar: The Regional Meteorological Centre today issued thunderstorm and rain alert for 14 districts till 5 pm today. 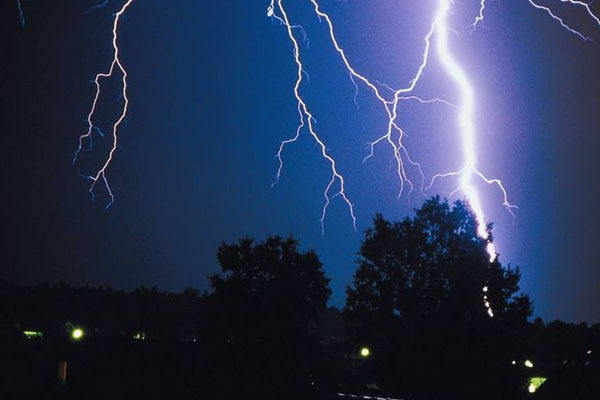 Thunderstorm and rain alert was issued for Kendrapara, Angul, Dhenkanal, Jajpur, Jagatsinghpur, Puri, Khurda, Cuttack, Nayagarh, Ganjam, Gajapati, Rayagada, Koraput and Malkangiri districts till 5 pm while people were asked to stay remain alert during the period. Meanwhile, the depression formed over east central Bay of Bengal is very likely to continue to move west-north westwards, concentrate into a deep depression during next 12 hours and cross south Odisha – north Andhra Pradesh coasts between Kalingapatnam and Puri close to Gopalpur around today midnight with wind speed of 55-65 kmph gusting to 75 kmph.